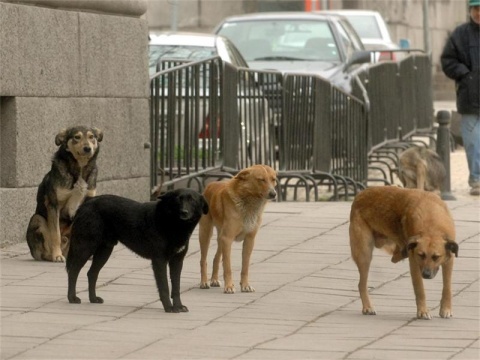 Bulgaria's capital Sofia plans to get rid of half its stray dogs by 2014 and reduced their number by 95% by 2016. On Tuesday, a program for the control of Sofia's stray dog population was presented in Sofia's City Hall. The program envisions the construction of more neutering centers and dog shelters, dariknews.bg informs. The latest horrifying accident involving stray dogs took place at the end of March, when 88-year-old economy Professor Boteo Tachkov was brutally attacked and almost killed by an aggressive pack. The accident triggered public outrage, as the city has been struggling to cope with its increasing stray dog population for years now. There are about 10 000 officially registered stray dogs in Sofia, even though some believe the number to be much higher. Meanwhile, the marginal centrist Movement for Stability and Prosperity has launched a campaign for the mapping of stray dogs in the capital. Colossal Beverly Hills Mansion Just Sold for $35 Million to Bulgarian?